What can I say about Dedon Furniture.. Well I think the ideas are amazing.. 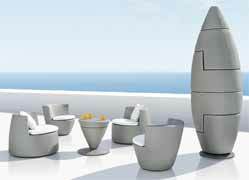 I love the idea and think this has to be one of the fun items of contemporary outdoor furniture.. This would be such a talking point at any summer party.